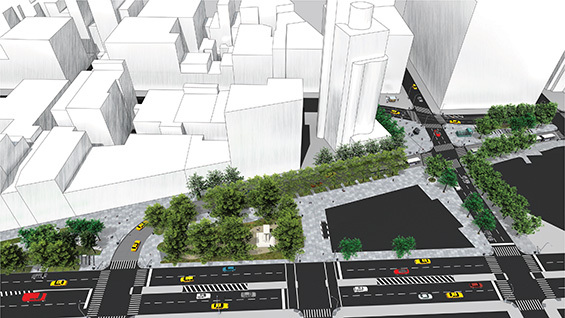 The City of New York's Department of Design and Construction has begun mobilizing for rebuilding pedestrian and vehicular access in the Astor Place / Cooper Square area. This has been in planning for a number of years and pre-construction has already begun with the not-much-lamented removal of the Citi Bikes rack in front of the Foundation Building, among other things. 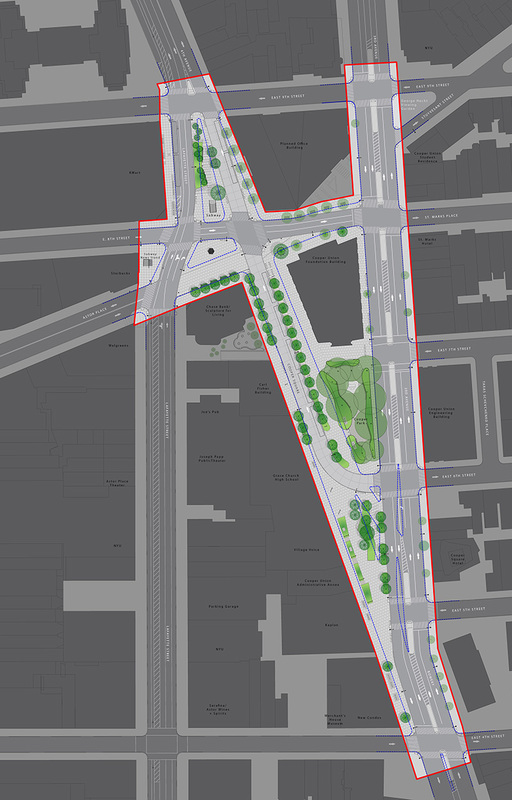 Peter Cooper Triangle will be expanded in width, with more than one exit and entrance included. 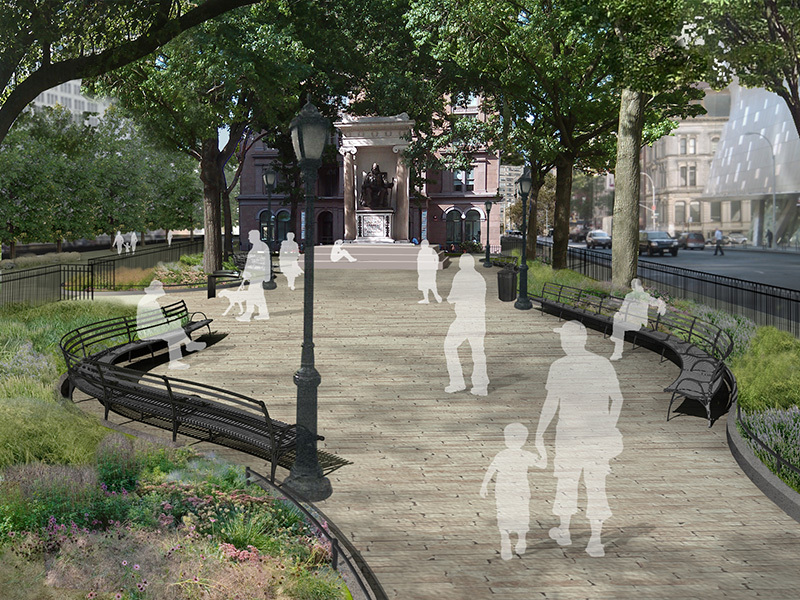 Plantings and seating were designed by the Department of Parks and Recreation, who will maintain the space. 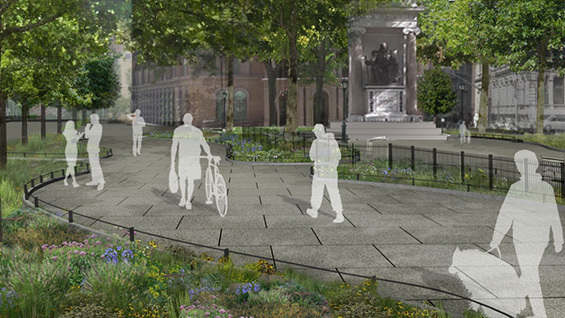 Plans also reveal that the fence around Peter Cooper's monument will be removed, allowing visitors to sit at his feet. 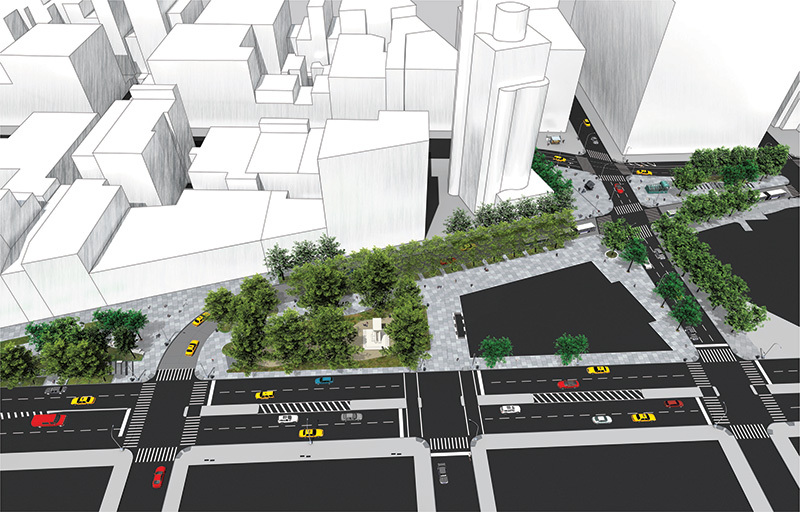 Fourth Avenue will become one-way northbound and a plaza, similar to those DOT has placed around the city, will be built outside Cooper Square. The Grace Church High School, in an agreement with the City will maintain that area. The bus turnaround from Third Avenue and 6th Street to northbound on Fourth Avenue will remain. 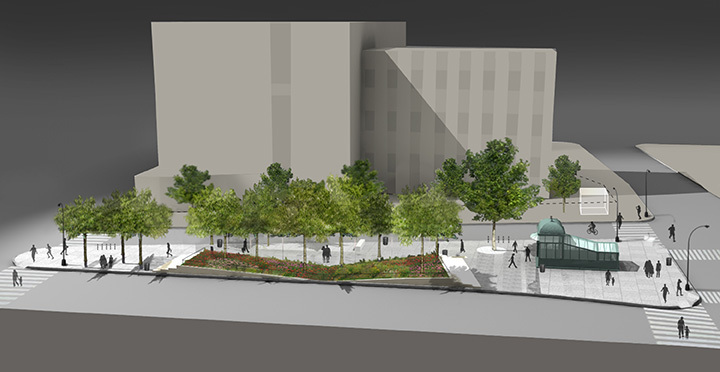 Astor Place will be closed between Lafayette and Fourth Avenue and the property in front of 26 Astor Place will be joined with the Alamo Island for seating and other uses. 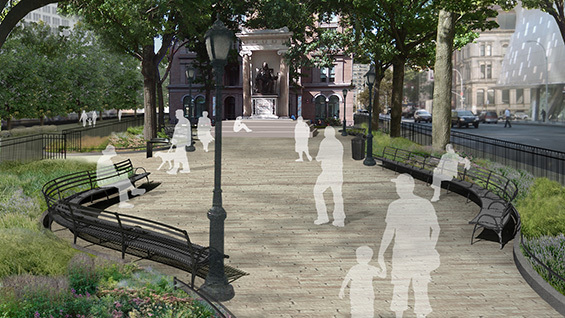 The Village Alliance (BID) will maintain that area as well as the subway triangle at Astor Place in an agreement with the city. 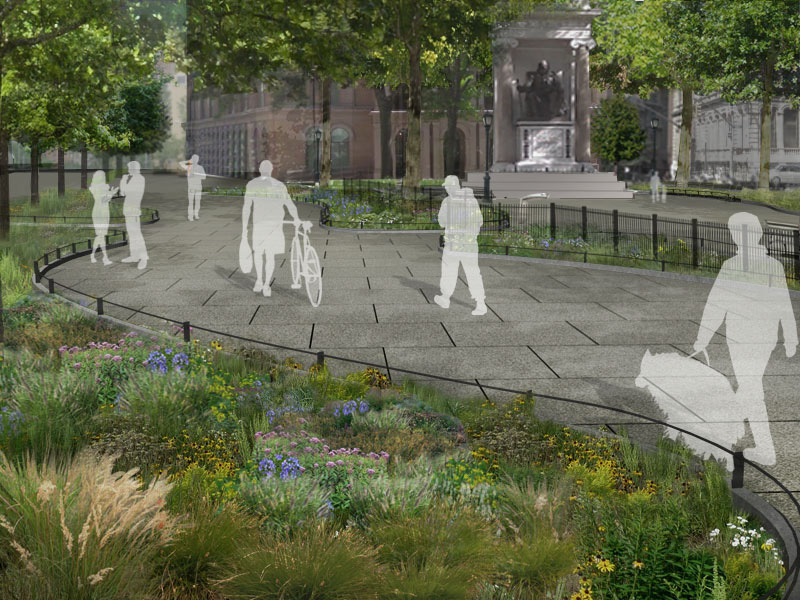 The Astor Place subway island will be enlarged and replanted. It may possibly include concessions for food and/or other services. The Village Alliance will also maintain this area. Visualizations of the the plans can be viewed in more detail below. An aerial view (sans buildings) of the redesigned space.